Booking a ferry to Estonia is simple, easy and safe with AFerry, just use the booking form above to get a price. The most popular route is Helsinki to Tallinn. 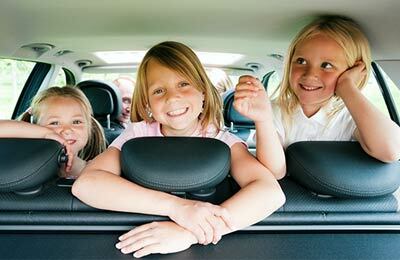 The average price this month for this route is £51.50 for a car and two people each way. 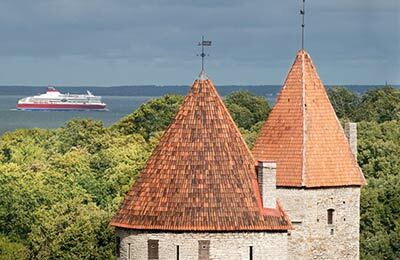 Booking a ferry to or from Estonia couldn't be easier with AFerry. You can either use the booking form at the top left of the page. 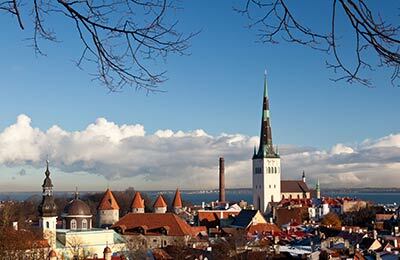 Estonia (Eesti) is the smallest of the Baltic states but is an increasingly popular tourist destination because of its lovely seaside towns, charming country villages, green forests and breathtaking castles. Tallinn, the cosmopolitan modern capital, has been listed by UNESCO as one of the worlds heritage sites. Estonia is a real gem of the Baltic area. The county is now one of the more prosperous former communist states. As well as the thriving cosmopolitan capital of Tallinn there is stunning countryside and wonderful beaches and Estonian cuisine is not only healthy but often cheap and delicious too. Estonia was occupied by the USSR but is now proudly part of the European Union. Quite an achievement for a country that was only officially declared independent in 1991 with Russian troops finally leaving in 1994. In fact, it is now one of the more prosperous former communist states. Estonia has a mixture of colourful history and dynamic present. Every part of Estonia is different from each other - you can find contrasting lifestyles within 20 kilometres which makes Estonia a very interesting place to visit. Away from cosmopolitan Tallinn, you can find some of the most picturesque fishing villages and quiet towns nestled among beautiful hills and lakes. There is also a rugged and dramatic coast line on the west. Estonia has a comprehensive bus network. Bigger cities like Tartu, Pärnu, Viljandi and Narva are all accessible by bus. By car, you'll find the road system is quite extensive although road quality varies as improvements continue to be made. The speed limit in countryside is 90 km/h and 50 km/h in the cities unless specified otherwise and you must always have your car lights switched on. 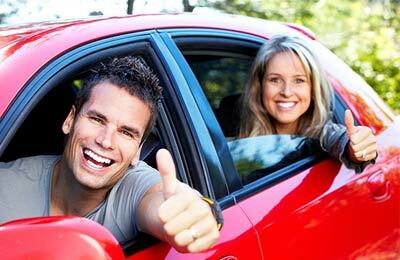 Car rental is also a good choice and you'll find that rates are often a lot lower than other countries in Europe. Cycling is also very popular, because, like Holland, the terrain in Estonia is largely flat. Estonia has an abundance of places to visit. Tallinn, the capital, is a modern cosmopolitan city. In 1997, the medieval part of Tallinn was listed in UNESCO's world heritage list because of its rich history, culture and architecture - it's definitely worth taking a walk through the cobbled streets of this district to get a living sense of history. Afterwards take a seat at one of the many cafes with outdoor seating and watch the world wander by. You'll also find plenty of good reasonably priced restaurants. You might be familiar with some Estonian dishes as many are also popular in Germany. Typically a meal starts with a cold selection of meats and sausages served with potato salad or Rosolje, a delicious Estonian dish with beetroot, meat and herring. Small pastries called pirukad - filled with meat, cabbage, carrots, rice and other fillings - also make a delicious starter. A typical main course might consist of pork, potatoes, gravy and sauerkraut. Black rye bread is also served with every meal. In fact, Estonians don't say 'bon appétit', instead they say 'jätku leiba' - may your bread last. The most popular drinks in Estonia are wonderful smooth locally brewed beers. Estonians are also proud of their Vodka and spirits. Definitely worth sampling is the herbal liquor 'Vana Tallinn'. The liqueur is sweet with a hint of rum, flavoured by various natural spices including citrus oil, cinnamon and vanilla. Go for the strongest variety to really start your evening off with a kick. The majestic Toompea Castle and St. Olaf's Church in central Tallinn are well worth a visit and are probably some of the most famous sights in the city. Kadriorg Palace and is also another attraction worth visiting. the palace and surrounding gardens and Park were built by Tsar Peter I in the 18th Century for his empress Catherine as a summer residence. You'll also find a great collection of paintings, graphics, sculptures and applied art from Russia and West Europe displayed in the Palace's spacious halls as the Art Museum of Estonia has a branch within the palace dedicated to foreign art. Some of the other cities to visit in Estonia other than Tallinn are Haapsalu, Narva, Parnu and Tartu. So, why not take a ferry to Estonia to discover a country with a great history, wonderful restaurants and cafes as well as a beautiful varied countryside and last but not least warm and friendly people. The journey out through the archipelago was beautiful. Accommodation and food superb. Simple way to find and compare ticket prices.